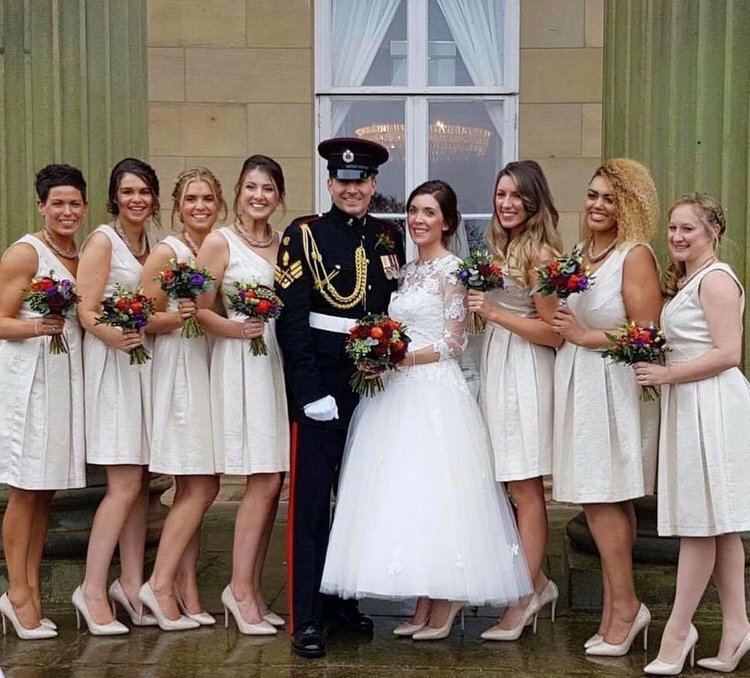 Some of our Bijou Bridal Boutique 'Real Brides' and ‘Real Bridesmaids’ in stunning wedding gowns and award winning bridesmaid dresses from our extensive range of British designer dress collections. I am sure you will agree they all look simply stunning. We look forward to welcoming you to our beautiful bridal boutique in Holmfirth, West Yorkshire where you will receive a very warm welcome, and to helping you find the perfect wedding gown or bridesmaid dress. What an amazing experience. The boutique is fabulous and my dress is absolutely beautiful. I had the boutique recommended to me, I can see why. I didn’t need to go anywhere else. Kerensa’s service and attitude made it an absolute pleasure. I was stressing over something at 7.30 at night! (It was something and nothing) I messaged Kerensa who replied straight away. What a star. Thank you for everything I can highly recommended Bijou Bridal Boutique. Trust me you will not be disappointed. We have just come home from Bijou Bridal Boutique having had a lovely time finding a wedding dress for my step daughter. What a pleasure it has been from start to finish. I didn’t get my dress from there in the end as I’d seen my perfect dress somewhere else but I did get the most beautiful bespoke pair of shoes made by Harriet Wilde after having had the opportunity to meet the design team in the shop- Kerensa has gone above and beyond to help me in sorting out the perfect accessories for my day and I would not hesitate to recommend her to anyone and everyone.... She is a cut above.... Thanks Kerensa- I very much appreciate it!! 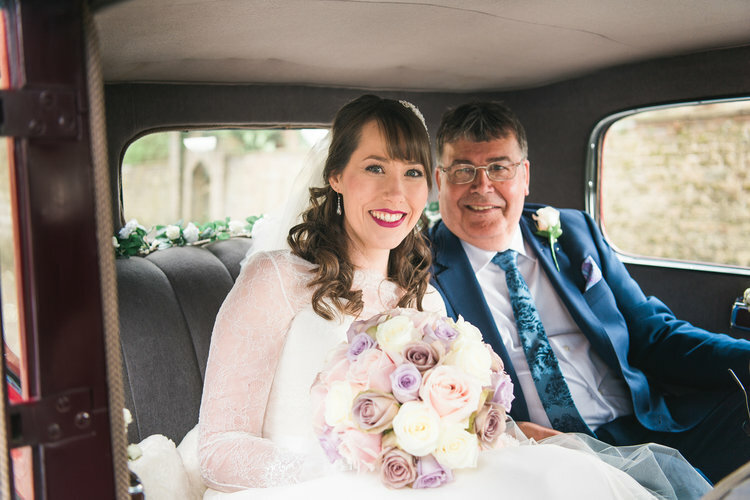 "After being an admirer of the Bijou Bridal Boutique window displays for some time, I knew that when the time came I would definitely be paying a visit! And I'm so glad I did! From the very first point of contact I was really grateful for the attentive and welcoming service that I received from Kerensa. My preferences were closely listened to and she did an amazing job of introducing me to the world of wedding dress shopping! There is an amazing array of gorgeous dresses to choose from and very quickly I found the dress of my dreams! My two bridesmaids have also found their lovely dresses here. The boutique is delightful and it was such a pleasure on each and every visit. I couldn't recommend it enough! I almost found the one at Bijou Bridal Boutique and just had to leave a review for such an excellent experience and first class service. Kerensa is a lovely lady with a lovely boutique that has lots of choice. Kerensa is very knowledgeable, helpful and has thought of everything to give future brides and their families a wonderful experience. Kerensa is so friendly, efficient yet relaxed and gives you the time you need. Though I didn't purchase my dress here, my visit to the boutique excelled all my other experiences and I cannot recommend the boutique and Kerensa enough. Thank you so much for your time, all you did and all your advice. Bijou was the first bridal boutique I visited and as you can imagine I was a little nervous as I didn’t know what to expect. I brought my mum along to share the experience and we had such a lovely time. From the moment we walked through the door we felt welcome. I picked quite a few different styles to try on as the day was supposed to be about me deciding what suited me and the style I would go for. To my surprise, as I didn’t expect to be lucky enough to find something first time, I fell in love with one of Kerensa’s beautiful dresses. Kerensa was lovely and so helpful with offering advice on the dresses and choosing accessories to compliment them. Nothing was too much trouble. I’ve decided to look in a couple of other places before I make my final decision but I know the dress is going to be a very hard one to beat. I would highly recommend visiting the boutique as it has some of the most beautiful dresses and you’ll have such a fantastic experience. This was the first boutique we visited and we were definitely spoilt! Kerensa is lovely; she makes you feel at ease and is so warm and welcoming. The dresses are also beautiful! We visited a few other shops after Bijou but none of them offered the same level of care or made you feel as special as Kerensa. Kerensa really went above and beyond in helping me find the dress of my dreams. As I tried on so many dresses I became a little overwhelmed with all I had seen. I sent a photo of another dress that had caught my eye to Kerensa and she was able to order a dress very, very similar so I could compare the two and pick my perfect dress. Thank you for all that you did Kerensa. I'm so happy I said 'yes to the dress' and found the perfect one in your shop! I can't recommend Bijou Bridal Boutique enough! We ended up finding you as you were the nearest stockist for Harriet Wilde bridal shoes to where we live. What a gorgeous bridal shop and thank you so much for all your help and advice both on the day and on the run up to visiting you. Look forward to seeing you again next year. Thanks again Emma and Bev. Myself , the bride and bridesmaids visited the boutique on Saturday 11th November 2017. Kerensa was a pleasure to deal with, the boutique is absolutely lovely and we were looked after from start to finish. We even got tea and cupcakes which I thought was a lovely little extra! The dresses were beautiful and fingers crossed the ones we decide to go for for my sisters big day! Thankyou so much Kerensa for fitting us in so last minute and looking after us! Have had a wonderful experience at this great bridal boutique in Holmfirth. As soon as I walked into the Bijoux Bridal Boutique in Holmfirth, Kerensa made me feel at ease. 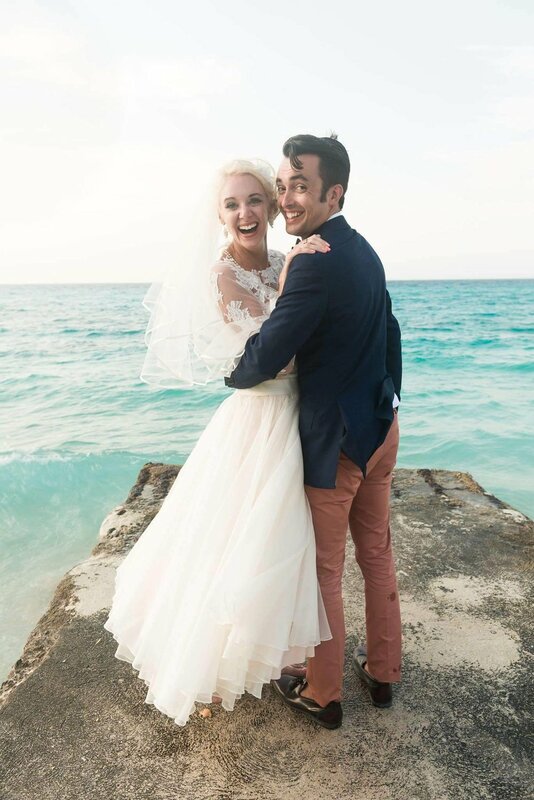 As a bride unsure of what suited me or what style I wanted she just exuded patience, compassion and such a friendly persona (one that isn't over bearing)! People say planning a wedding is in the details and Kerensa certainly focuses on this and in a way that is so helpful and personal; something I have really appreciated. In every contact she has made with me she has made it personal to me, and our wedding. If it is possible she has made me look forward to our wedding even more! This week I can say that I get married next week (!) and I pick my dress up from Kerensa a couple of days before the wedding. I can honestly say I am so looking forward to seeing Kerensa; I feel that she is genuinely interested in me, the wedding and our day, it will be like visiting a friend. I would recommend Kerensa's service and her beautiful shop to all future brides to be, and certainly will be doing to my friends and family. 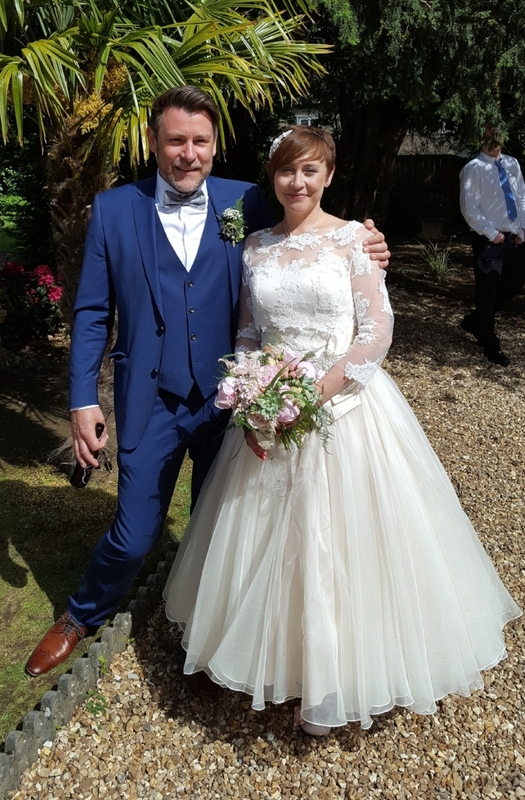 After seeing my sisters gorgeous wedding dress from Bijou Bridal Boutique and hearing about her excellent experience in choosing her dress, I knew that Kerensa could help me to choose the dress for my own wedding. The quality of the dresses and the support and care that you get when picking your dress was second to none. I felt looked after and I was given honest advice about the dresses, styles and what suited me. In the end, the first dress I found was 'the one' and Kerensa was happy to open the shop up later in the day for me to try on the dress again and to take measurements for my order. I felt confident in my decision and felt as special as every bride should on the day she says yes to a dress! Found the perfect dresses for my bridesmaids. Super friendly and helpful staff. No pushy sales pitch just great service! Thank you. Thank you Kerensa for today. My mum, bridesmaid and I had a wonderful experience (complete with bubbles!) I'm absolutely thrilled with the dress and the accessories. Would highly recommend to any brides to be! Picked up my beautiful Nicki Macfarlane flower girl dress today. Kerensa has been so helpful through the entire process and made my little niece feel like a princess.. The shop itself is beautiful with a fabulous collection of bridal gowns and accessories ( managed to get myself a beautiful garter and ring cushion) definitely worth the drive up to Holmfirth... thank you so so much. After a last minute change of heart with my wedding shoes, Bijou Bridal were more than helpful. Kerensa speedily arranged delivery of a beautiful pair of Harriet Wilde shoes for me to try on. The shop is beautiful and welcoming, on the high street so easy to travel and park. Once I had decided, they were ordered for delivery to my home address. Couldn't ask for a better service, thank you. I had a lovely afternoon at Bijou with my two bridesmaids. Kerensa was lovely and made us feel very welcome and nothing was too much trouble. The dresses are gorgeous and I found "the one!" I would recommend Bijou to any bride looking for a dress for their special day. Bijou Boutique has simply stunning gowns, with service to match. Kerensa made me feel so at ease when trying on wedding dresses for the first time. Nothing is too much trouble for her, and she actively goes out of her way to ensure you have the best experience possible. In comparison to other places I have subsequently visited, the experience is like night and day, always leading me back to Bijou. An absolutely magical experience... from start to finish! Can't thank Kerensa enough , made me feel fabulous & truly special . Mum and I bobbed in here while passing and were met by the lovely Kerensa. Luckily she was able to give us an impromtu fitting and I was able to try on some of her fabulous dresses. 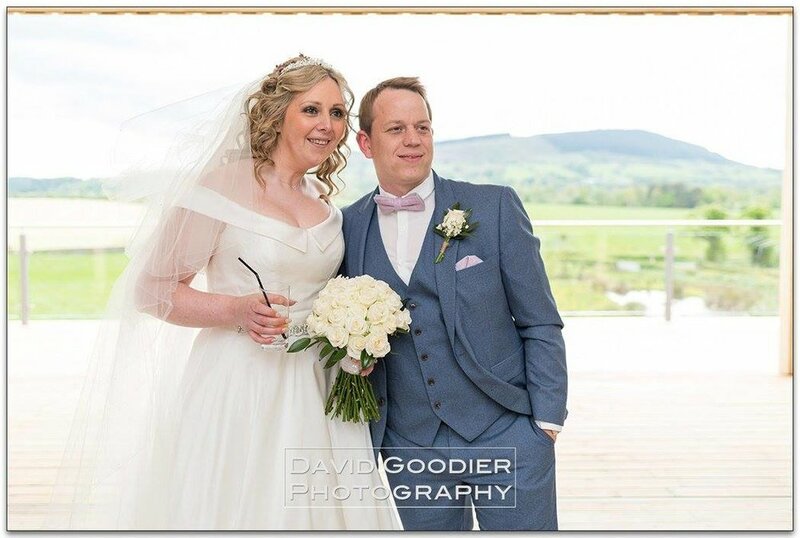 We returned by appointment having been so impressed with the quality of the dresses and warm and welcoming service we had received on our initial visit and were equally delighted the 2nd time. Although I didn't end up with one of Kerensa's beautiful dresses, I can't recommend this beautiful boutique enough. I called just on the off chance to try on some dresses for ideas! I never dreamed that I would find the one. Such lovely customer service, beautiful shop and would recommend all the dresses (plus accessories and shoes ha) to my friends. I cannot wait to go back for fittings and to try my dress on again. What a lovely experience so far. From the moment I walked through the door I had a lovely warm welcome from Kerensa, nothing was too much and I said yes to the dress. I can not wait to go back and put it on again. Wonderful experience ever since I met Kerensa at a wedding fayre last October. I soon visited the lovely little boutique shop in my hometown Holmfirth and fell in love with the first dress I tried on. Being 4 months pregnant at the time I decided to wait until I'd had my baby and lost some of my baby weight. Today, I finally ordered my dream dress . Went to view a dress I'd seen online with my mum and tried on a few more. Kerensa was so welcoming and really put me at ease. Really beautiful shop with stunning dresses and incredible service. Can't recommend enough. Thank you for your patience and kindness! Thank you so much Kerensa for your help finding my wedding gown. You put me at ease the second I walked in and you have some gorgeous gowns in the boutique. 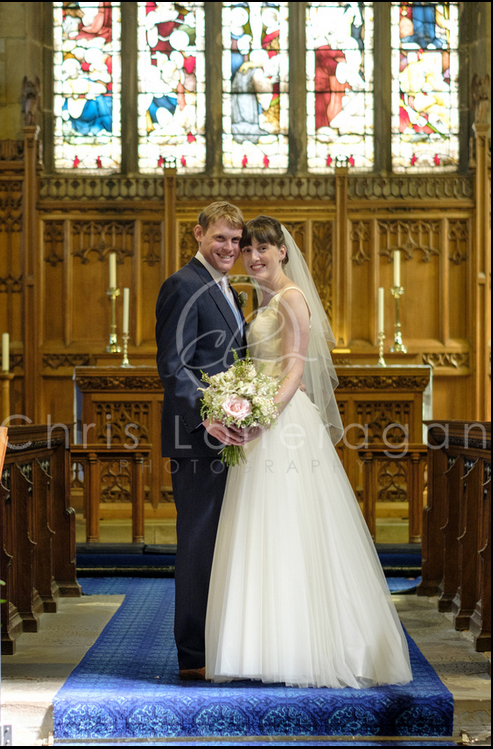 I can't recommend the boutique enough and want to especially thank you for contacting the designer to arrange the slight alterations I wanted to make to the dress. With your help I've found the perfect dress to marry the man of my dreams. You truly made me feel a million dollars. This was my first time dress shopping and Kerensa was so accommodating, welcoming and made me feel so comfortable! It was fun and relaxing. A great introduction to wedding dress shopping! I would totally buy a dress from her just because she's so genuine and lovely! Thank you so much Kerensa. My Rainbow shoes and bag are gorgeous and the colour is perfect - just right for my 'Mother of the Bride' outfit. You made us feel welcome on every visit and your service and product knowledge are first class. Thank you again, we've had a wonderful time preparing for the 'Big Day' with you. Fantastic experience. Today was my first visit to begin my search for my wedding dress and I wasn't disappointed. Kerensa closed the boutique for us so we had exclusive use, she understood what I wanted and took the time to help me try on different dresses until I found ' The One' I've found my perfect dress with Kerensa's help, I can't recommend Bijou Bridal enough, Thank you so much for making me feel like a true princess. Thankyou Kerensa for going above and beyond helping me get my dream Bridal shoes! I also found a Beautiful comb for my big day which is just Perfect! Would highly recomend, not just a beautiful store but fantastic customer service! We visited in July 2015. The dresses are beautiful and Kerensa is so lovely and helpful. Unlike other bridal shops you aren't rushed into trying different dresses, there was the time to take in the dresses from every angle. Unfortunately I didn't find my dress here as I had quite different ideas about what I was looking for but I'd strongly recommend visiting the boutique and the beautiful dresses. Thanks for making the experience memorable for all the right reasons. Thank you Kerensa for your help in finding my perfect wedding shoes. I am absolutely in love with them. Bijou was the only local stockist to me (40mins away) after some serious searching around the net and the colour I wanted wasn't the typical wedding colour so I really wanted to see them in person. I visited the boutique to look at the cream coloured ones and still wasn't sure, Kerensa contacted the supplier and arranged for me to see them in person the very next Saturday and it was love at first sight! I can't wait to wear them in August! Thank you again for your help and the speedy turn around, you're a star. Words are insufficient to describe the wonderful experience at Bijou Brides. Stunning and unusual dresses with service second to none. Far exceeded the experience of other wedding shops. A truly wonderful afternoon. Thank you so much. Thank you so much Kerensa, I found the dress of my dreams! First shop I've been to and found the perfect dress thanks to you Kerensa. If it wasn't for you choosing the right dress for me, I would have missed the perfect dress. You are a lovely, warm, kind and patient lady. I can't recommend Bijou Bridal Boutique enough, super elegant boutique, beautiful dresses and accessories. I'll be back. "Lovely boutique and what is even better is Kerensa and her assistant. So professional, calm and welcoming. I didn't think I was going to find what I was looking for at the start of my visit (I had a specific look and style in mind) but they made it all work. I found EXACTLY what I was looking for by combining a few pieces and planning personalisation/customising etc for the seamstress. Really pleased with the quality of the pieces and feel confident that the seamstress will complete the dress to a high standard next year before the wedding. Thank you so much and looking forward to returning"
"What a lovely, warm and welcoming boutique. Kerensa is very professional and her seamstress Margaret did a wonderful job with my alternations. Highly recommend this shop!" 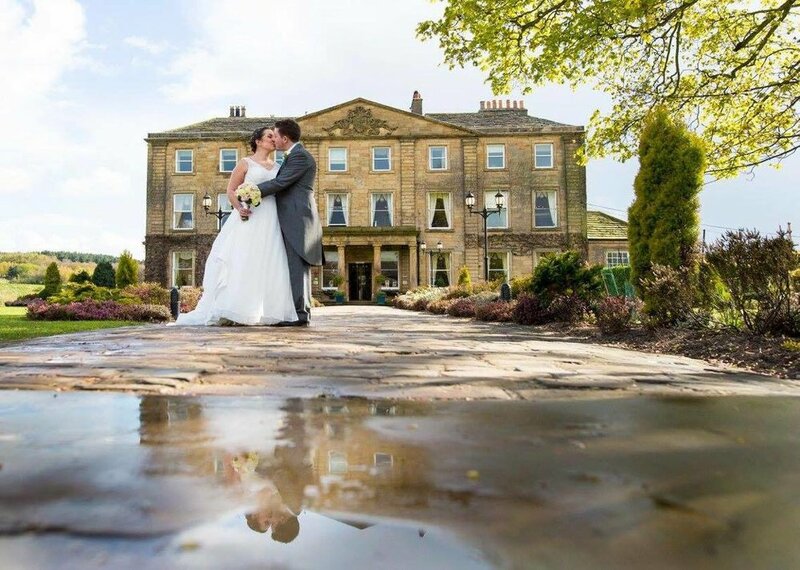 "A great bridal boutique, with a lovely owner, who is a great asset to Holmfirth! Keep up the fantastic work!" 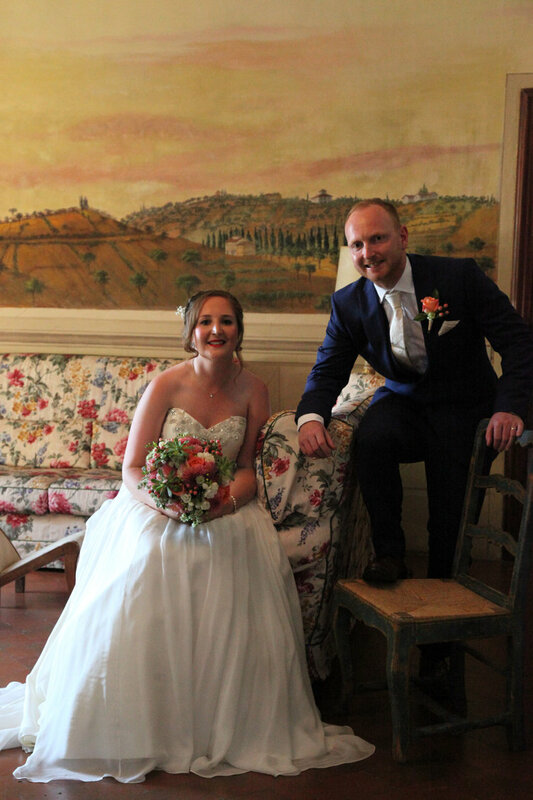 "This is a wonderful boutique and Kerensa is so warm and welcoming, I had a brilliant experience here and completely recommend to all brides to be. 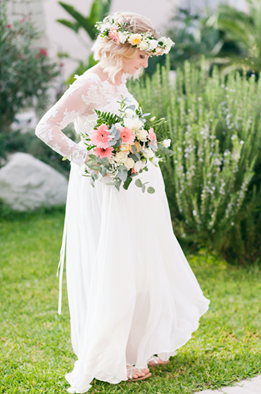 She has a beautiful range of wedding dresses and accessories, but not so many that you feel overwhelmed. Kerensa listened to exactly what I wanted and made brilliant suggestions. I am now so excited for my wedding day as I have the perfect dress! Thank you"
"Thank you so much for an amazing afternoon yesterday. I can't believe you found a dress both mum and I love at your first pick of them. Great service, wonderful people and I can't wait to come back for my first fitting see you next year"
"'I've had the biggest smile on my face today, thank you so much for helping me find my perfect dress. The service you have provided has been excellent and made my wedding dress shopping experience just perfect! A beautiful boutique, stunning dresses, beautiful shoes and one amazing lady!! Thank you and I will see you soon when my gorgeous gown arrives"
"I can't thank Kerensa enough for all she has done to make me feel very special on my big day! Having no idea where to start or what I was looking for Kerensa made the whole experience a breeze. Amazing dresses, shoes & accessories. Absolutely spoilt for choice." "Thank you Kerensa for our 1st wedding dress session and a successful one too . My daughter kelly (the bride) was made to feel very special, and the selection of beautiful wedding dresses was a dream. We decided kelly, me and my mum on our dream wedding dress and veil... And yes she did look like a real princess. Thank you so much for a wonderful afternoon, on such a special occasion"
"Thank you to Kerensa for a superb afternoon yesterday where she helped to make me feel like a true Princess! The boutique and the selection of dresses were wonderful. Stunning, luxurious dresses at reasonable prices. I can't wait for mine to now arrive in store!! See you soon." 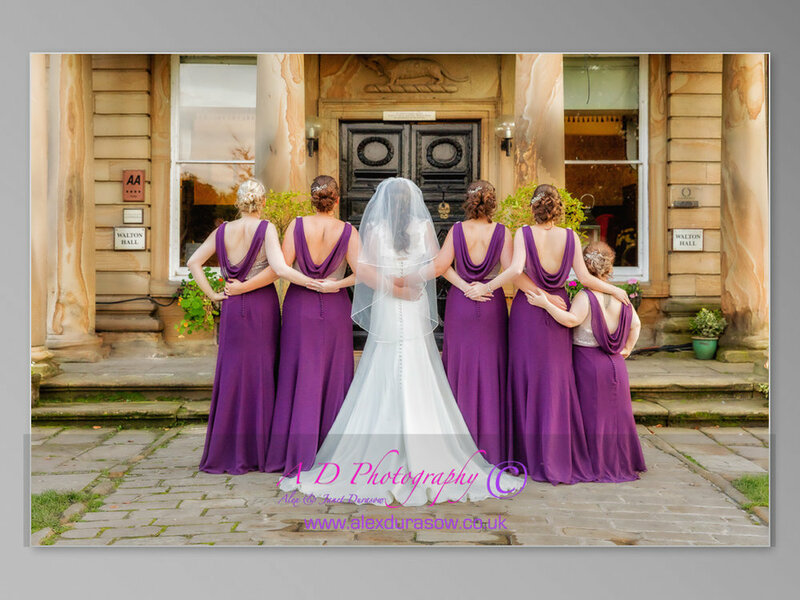 "I just want to say a big Thank You to Bijou Bridal Boutique for making our day so special. My dress looked amazing, I couldn't have done it without the support of Kerensa and her amazing seamstress both lovely ladies. I would definitely recommend using Bijou Bridal Boutique." "I've ordered a BEAUTIFUL bridal dress box for my long overdue wedding dress to be packed away nicely! Brides to be THIS IS A MUST for when you have had your big day! The design is gorgeous it even has a lace trim inside! And instructions how to pack! Will post a picture on when I've packed it! Can't recommend enough! And Kerensa at Bijou is the most lovely hostess! Go see her!" "A lovely boutique with a beautiful range of dress designs. I have had a wonderful time visiting the shop. Kerensa has been great at listening, giving suggestions and I have been impressed with the excellent personal service I have received. Thank you"
"Had a wonderful time Saturday finding my wedding dress. Bijou Bridal Boutique is a wonderful bridal shop. Thank you so much for your dedicated time and all your help Kerensa, thanks to you I now have my beautiful dress all ordered for the big day"
"So I am finally getting around to posting a glowing review of the lovely Bijou Bridal boutique! What a gorgeous shop with gorgeous staff! Had such a wonderful afternoon trying on beautiful gowns and hope to be back soon for more!!" "Had a lovely morning in the boutique today, thank you so much for helping me find the perfect dress, looking forward to my next visit when my dress arrives!"